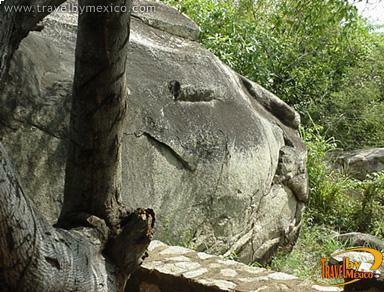 Artillero s/n, Independencia, Acapulco de Juárez, Gro.. 39510. 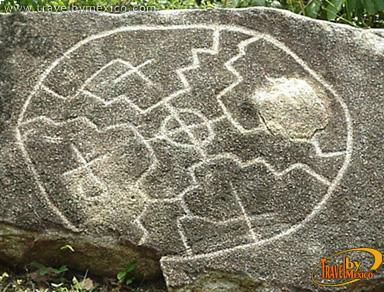 The Palma Sola archeological site, "The place where the stones speak too," is located on the southern slope of the El Veladero hill. 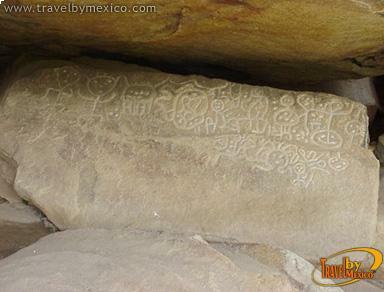 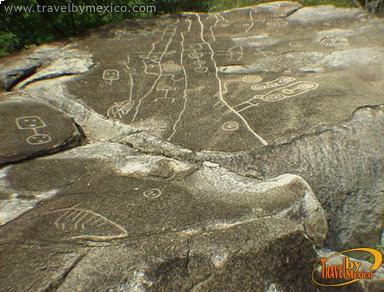 It covers an area of approximately 3.8 hectares, between 350 and 400 meters above sea level, where there are 18 scattered rocks with engravings that narrate important episodes of the history, myths and customs of the ancient people from Acapulco. 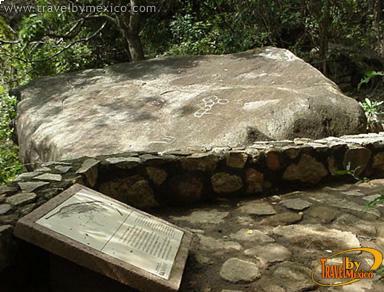 It was a sacred place in the pre-Hispanic era, were various ceremonies and rituals associated with agricultural production cycles, were performed and recorded in stone.